The above picture is an 18th century witch bottle with a fascinating look into the craft of the day. To be a witch is to deliberately place yourself in harm’s way. It is no accident, it is the same love a parent has for their child: we protect life. We shrivel up our noses and introduce our heads into walls, desks, and palms, complain miserably about the state of humanity, but when the chips are down, who steps up? Yup, we draw out the sword and shield and put ourselves between that which is profane and the very humans we complain about. In order to keep that up, there are measures that must be taken. We must take care of ourselves first. One of the first lines of defense for any serious witch is a witch bottle. Everywhere I have ever been has a bottle buried in the earth filled with sharps and taglocks. Some of them mason jar sized, some of the baby food jar sized, some of them a small little vial. Just as in martial arts, potency is not determined by size. Witch bottles are best created on either a Tuesday or Thursday. Tuesday’s tend to be harsh and swift when it comes to workings of curse or defense. Thursday’s are good for the initial creation of protective charms. However, there are always the exceptional emergencies when all conventions should be tossed out the door and the moment of protective power is right here and right now with whatever it is you have on hand. Be not afraid of time and convention. Sometimes, patience is a luxury. When you have the luxury of patience, by all means, be creative with your witch bottle, pick just the right pins and nails, if you are a menstruating female, wait for your moon, use urine, hair, fingernail clippings, tears, and sweat. You get the picture. Inscribe your bind rune and seal that up with black wax before you bury. You could start the process on a Thursday and bury on a Tuesday just for more kick. Chant your chant to the listening other world denizens; bring power to the moment and object. Just do it. Creating the witch bottle is not a challenge, but you must literally pour yourself into the work, your desire to keep acts of evil and profanity from you must be true. 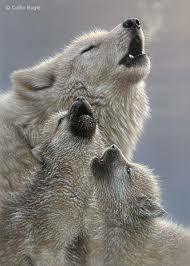 You will have to dig deep and find that raw part of yourself that declares a howl on hunt night with the pack. You must be willing and able to surrender yourself to whom you call your Master of magic and let yourself become his or her vessel, speak with their voice, be moved by their will in that moment of power. That is the challenge. One of the most real dangers we face is other humans who either do not agree with our way of being or those who are afraid of the things they have done: they fear reprisal for the profanities the have inflicted upon others. Make no mistake, they are just as dangerous as any other enemy. . . sometimes more so because they can be the ones whom you consider your most trusted and beloved. I assure you, you are never psychologically or emotionally ready for that. The first brutal impact is crippling; all you can do is ride through and gear up while lying in wait. No witch bottle will help you there, but a good old-fashioned curse will. And you will have to pull it out and sit back patiently for the results. Where the witch bottle helps is when dealing with other witches and those who mean you harm through the arte. Which brings me to the other real danger to us: other witches. We spend so much wasted time arguing about what a real witch is. A witch is a witch is a witch. Really?? Who cares??? The longer we argue, the less work gets done, whatever your work is, it isn’t getting done arguing about what real is. If they want to be light and fluff, let them, If they want to follow a three-fold law, let them. If they want to run on hunt night, I suggest you not look like a deer. Because when the real chips are down, the thing that will matter is standing together facing the same direction doing the work. Arguing amongst ourselves is not only a waste of time, it is exactly what our foes want. It is dangerous to let our foes have what they want. Remember divide and conquer? So yes, gather your bottle, your needles, pins and nails (don’t forget the blood and or urine.) Find your pack whether it wears light or blood does not matter. Shut your mouth and do the work you are called to and let others do theirs in accordance to their way. Just as I do not need your approval or belief to know the reality of my craft’s work, they do not need mine. We are all wolves here. Do not waste your precious time and focus with needless strife. The real work is out there waiting for you to call upon your Master and put your hand to your craft, but first protect yourself. It is your thoughts such as these that make me think that sometimes you are in my mind or have a fleeting sight into my world and I enjoy it. Thank you .